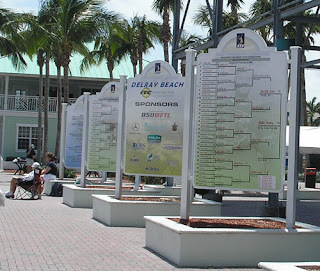 I’ve spent a lot of time down in Florida visiting my mom and watching tennis at the Delray Beach Tennis Center, home to a major professional tennis event as well as numerous junior ones. 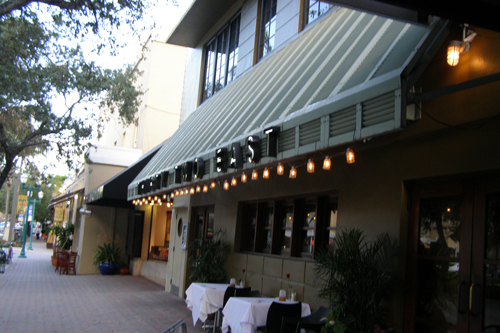 The one thing I haven’t spent a lot of time doing is checking out the restaurants downtown Delray. Atlantic Avenue in Delray Beach is buzzing every night, with visitors and locals walking the streets and enjoying the eateries. 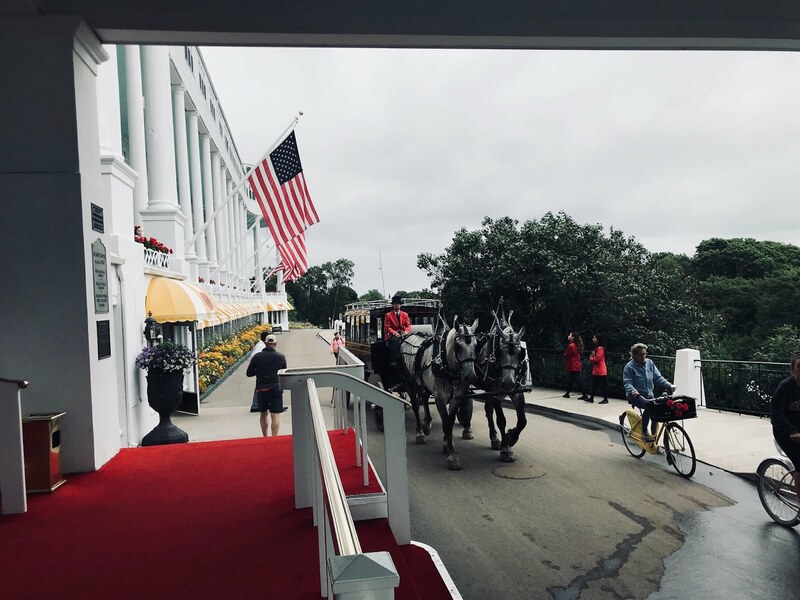 The selection down there is varied enough to satisfy everyone’s dining desires, and I got to check out four that are among the best. Mom and I headed down Atlantic Avenue for an evening of restaurant hopping. Parking was much easier than I remembered in the few times I had been downtown. Most of the restaurants have valet, and there’s free parking in the streets behind them. Our first stop was at the opening of the downtown area – Tryst. When you first walk into Tryst, the immediate thought is that this is a nice pub, but as you look around at the European art and antique touches, you realize it is something more. You will find a large selection of beers (many local) and wine here. The menu is far from just pub fare either. Executive Chef Julian Greaves uses his imagination for dishes like Glazed Spare Ribs, perfectly tender and tasty as they are slowly baked into a sweet and sour creation; and an Australian Lamb Chop you will not soon forget, with a cherry and arugula salad and balsamic/red wine reduction. Chef Greaves makes whatever he can on his own, from bacon to sausage to duck prosciutto (served with Grilled Asparagus and Pine Nuts in a truffled balsamic sauce… yum). All of his ingredients are fresh, local and homemade whenever possible. 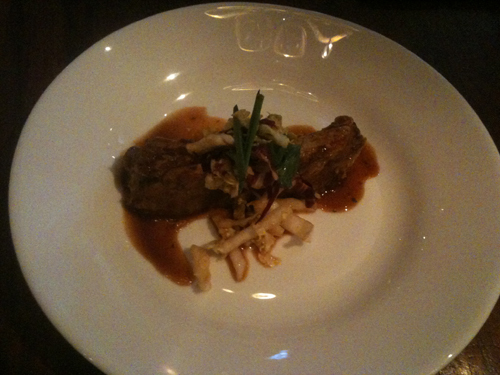 This is similar to the philosophy of Executive Chef Nick Morfogen, just next at 32 East. 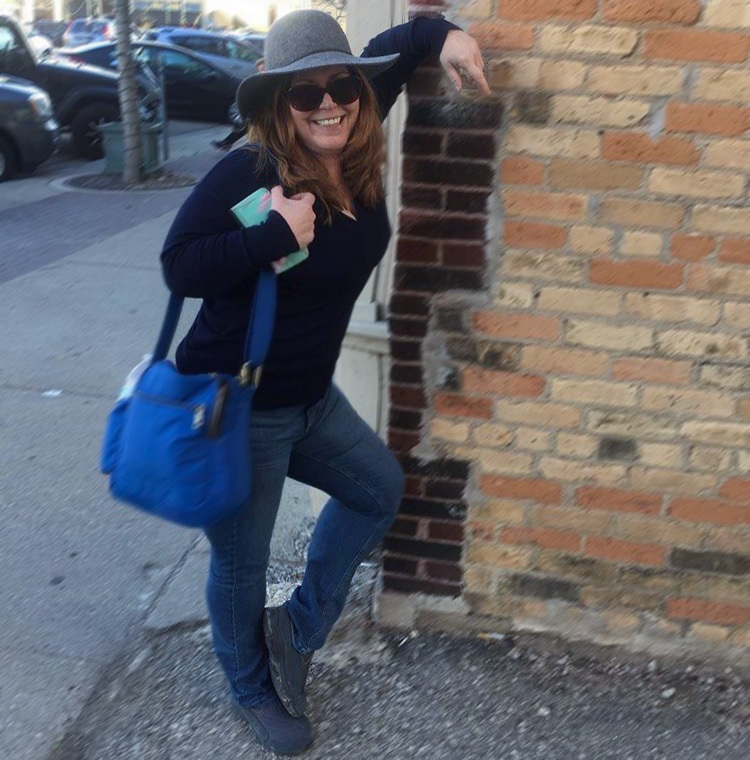 Chef Morfogen has worked in some of the finest restaurants in the country and was named a Top New Chef at the start by Food & Wine Magazine. He makes use of the seasonal ingredients abundant in Florida at this cozy restaurant, which offers an incredible selection of wine by the glass. I had a glass of Casa Blanca Valley Sauvignon Blanc from Chile while the chef told me how he has his own fisherman to make sure his seafood is the freshest he can get. His prep in the kitchen is orchestrated to perfection and it shows in the finished product. We started with the Prosciutto Wrapped in Peaches and Figs Stuffed with Goat Cheese, a great compliment to the wine. Then, the Mushroom Brushetta came out. It was described by the waiter as a “decompressed carbonara,” However you want to describe it, it is worth a trip downtown for this dish. Full of meaty mushrooms, roasted garlic and parmesan cheese, the bread holds it nicely. Chef Morfogen also brought out two of his popular main courses – Mesquite Filet Mignon with Homemade Bacon and Portobello with Fava Beans and Creamed Corn for me (tender and flavorful) and a Grouper with Tangerine Olive Oil that Mom really enjoyed. We were starting to feel stuffed, but there was still a restaurant to go and we got in the car to go down a few blocks to Cut 432, the first steakhouse in downtown Delray Beach. Cut 432 was nothing like the previous places we visited. The inside was loud and fun, with crowds of people enjoying the unusual cocktail menu and a few scattered tables. Outside, where we sat, kept the white them, with comfy couches and tables full of people enjoying the food. 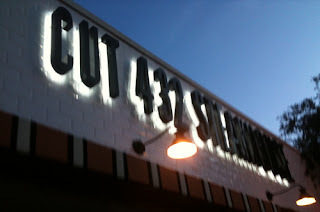 The food at Cut 432 is all based around steak – Nebraska beef, dry and wet aged for flavor and tenderness – and seafood. The collaboration of Chef Tony Pizzo and co-owners Brian Albe and Brandon Belluscio works well and shows in the food presentation. While the steak and seafood basis is a simple one, it is expanded just a bit to make it more interesting: instead of rolls or bread, we were served biscuits with honey and butter; the salad was not a green one, but a Watermelon & Feta Salad, with cherry tomatoes and cucumber, just what you want on a hot summer night; and the Steak is served with a trio of homemade sauces – the Cut 432, which is sweet and tangy; a Horseradish and Bernaise. We enjoyed the steak and creamed corn and the fantastic Blue Cheese Tater-Tots as much as we could fit in, finishing up with a Mascarpone Cheesecake with a blueberry compote. 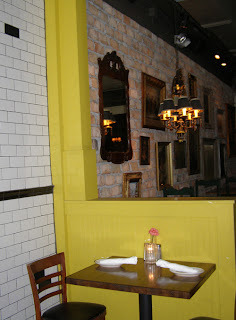 Before I left Florida, I did go to one more restaurant in Delray Beach, Tramonti. Even though it was my birthday dinner and I wasn’t "working,” I have to give a shoutout to this place. The atmosphere is warm and inviting and everything was delicious. I shared an order of Pappardelle Campagnole, with wild mushrooms and cherry tomatoes in a garlic sauce, and one of Veal Sorrentino with a friend and both were just spectacular. 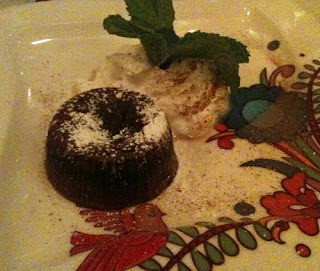 For dessert, I had the Chocolate Soufflé, which was much more like a Molten Cake, but still decadent and delicious. I will be back to Delray Beach often to visit Mom (and watch tennis), but I’m also going to make a point of trying out more that the downtown has to offer, as well as visit more of the Palm Beach County area. Such a nice write-up on our lovely Delray Beach in sunny South Florida! Thank you for sharing the Delray Love!